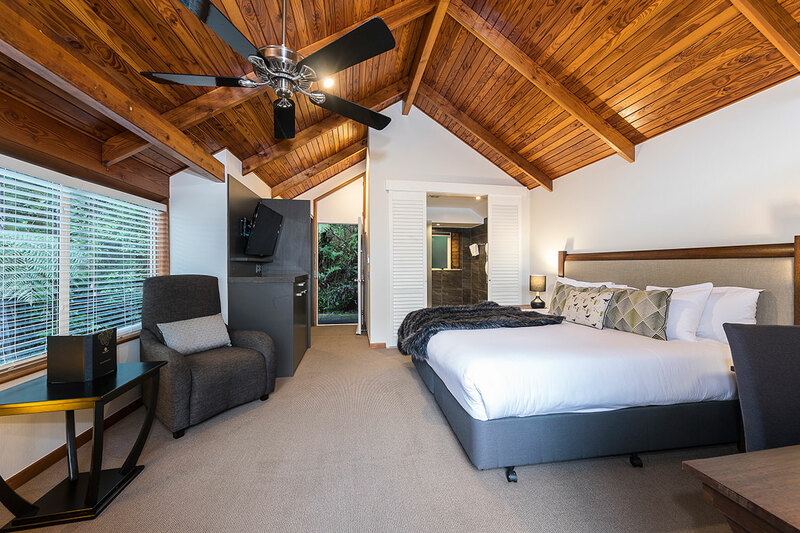 Whether you are in love, or just love a tranquil holiday, the Tawa Chalet at Puka Park is enough to give guests true heart flutters! This romantic studio-style chalet is a stunning room type, nestled on the scenic slopes of Mt. Pauanui with an outlook to green gardens and treetop canopy beyond. 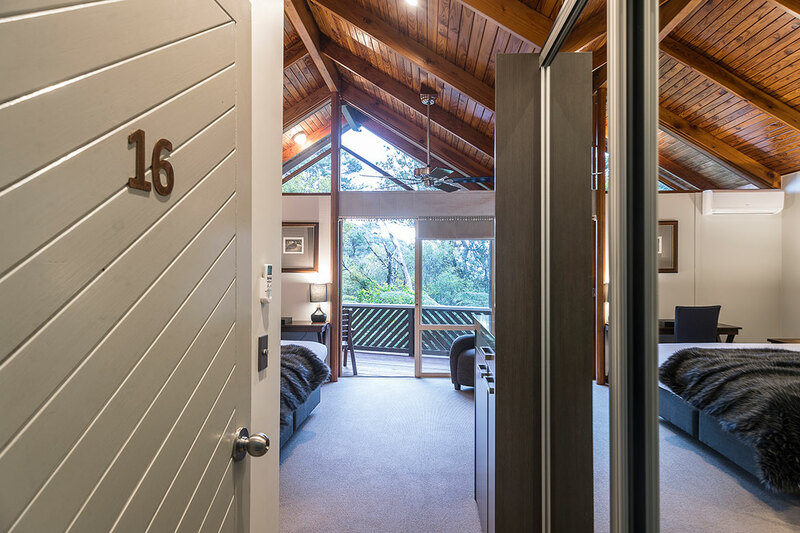 The Tawa Chalet features a decadent king sized bed, and an ensuite with a large walk-in style shower. Each bathroom extends complimentary Beautiful Amiki Botanicals toiletries for guests to enjoy, designed exclusively for Grand Mercure. 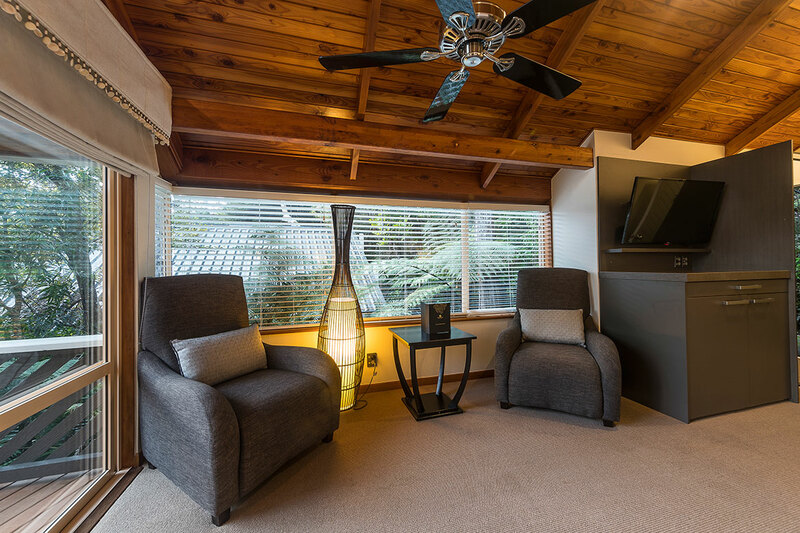 A 42″ LED television and tea and coffee making facilities are available. Perhaps best of all, these rooms offer guests access to their own private deck. 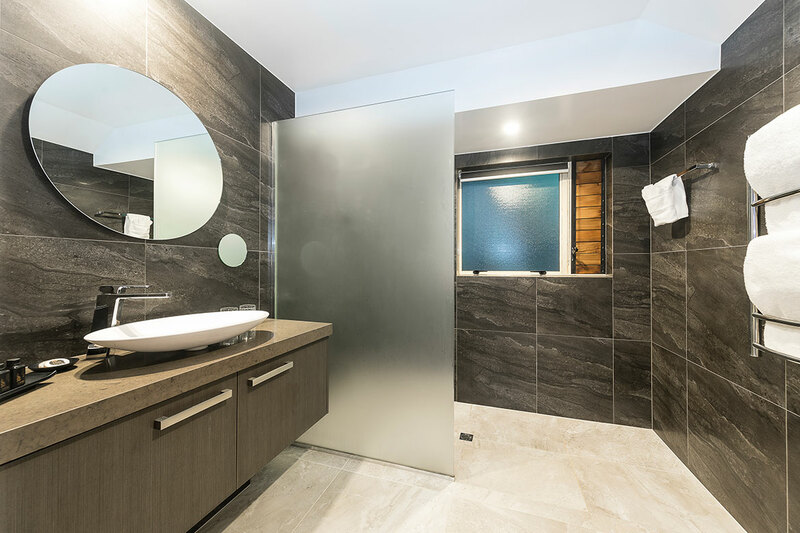 Enjoy the natural surrounds in peace and privacy. 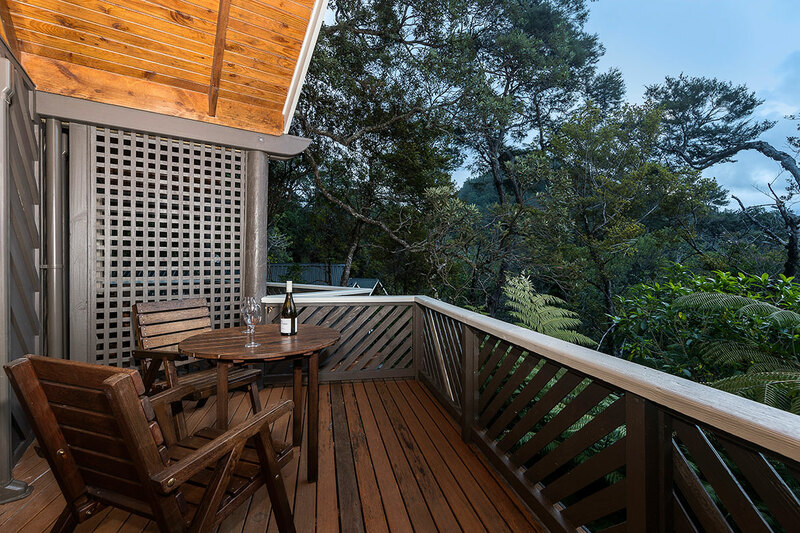 Each deck comes with outdoor furniture to better relax and soak up the tranquillity on your doorstep, without having to leave the comfort of the chalet.